WAIT! SHAMELESS INTERRUPTION. 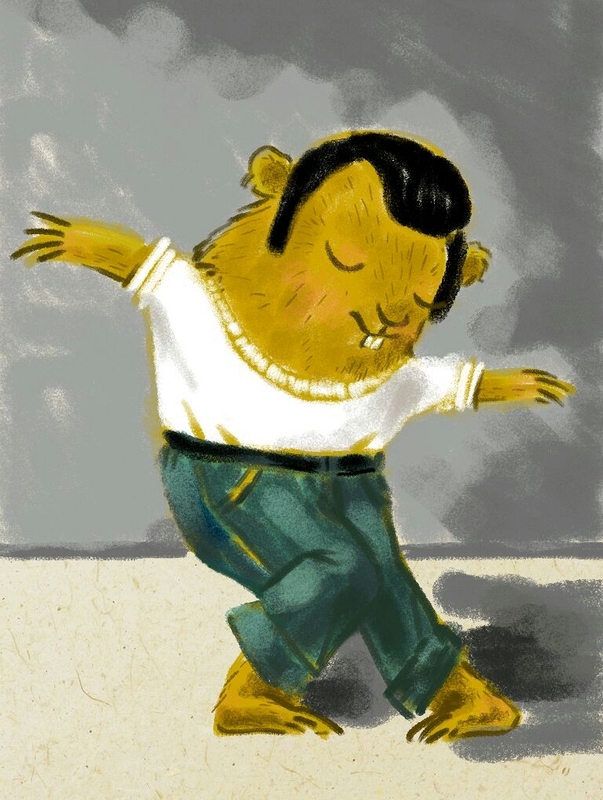 I’m chillin’ in the spotlight over at KID-LIT 411 today – HERE. 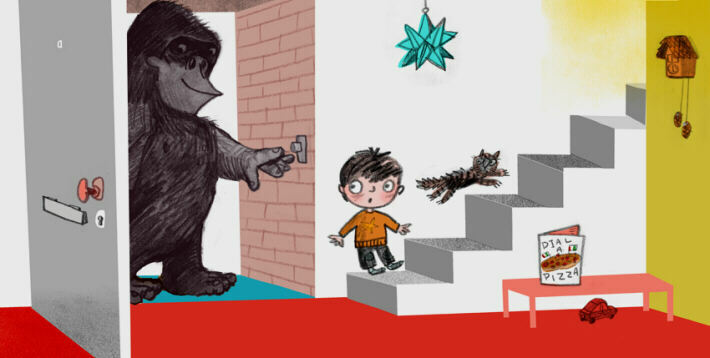 Summary: (from SLJ) After a gorilla shows up at the door, a boy has the wildest night of his life. Unfortunately, he then must explain to his family about crayon on the walls, toys and piles of dirty clothes all over the house, and a broken window and vase. And that’s not even the bad news! When the delivery boy arrives with dinner, the gorilla scares him away and then eats all of the pizza. Soon after, the animal slips discreetly out the door, too, leaving the boy to explain the situation, and his family with a messy house and nothing to eat. Why I like this book: IT’S FUNNY! 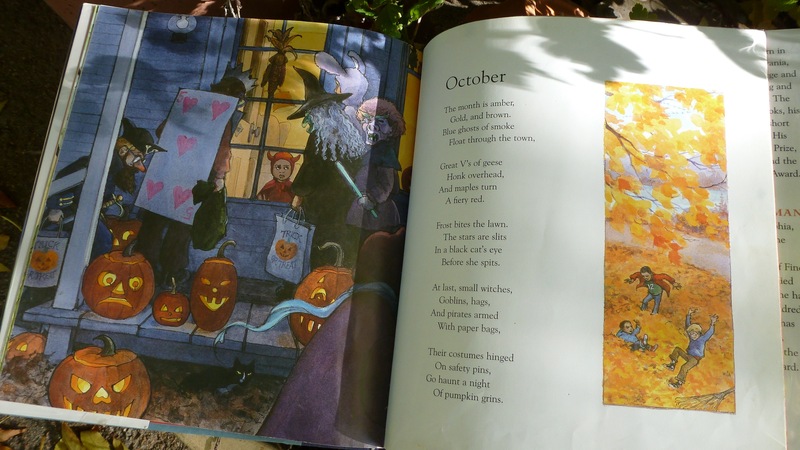 And not just the text: the illustrations are right up my alley, with bold strokes simple textures and great use of basic color schemes, and I enjoyed the spare use of ‘ornamental’ fonts – simple and not distracting. I can’t say all of the dialogue was age specific (no, I don’t know any kids who say ‘overexcited’), but the fun trumps any hiccups! Ain’t Nothin’ But a Groundhog! Phyllis LOVES to dress up, almost as much as predicting the weather. Please check out the other creative ideas and outfits on Susanna Hill’s blog-HERE. Opening: Warning! If you’re the type who oohs and aahs at furry faces, precious paws, the words ahead may be alarming: Animals aren’t always charming. Summary: (from Amazon) Embark on a methodical, meticulous, and hilarious quest for the perfect pet in this wickedly witty cautionary collection of pet poems. I like this book because… the rhymes are fun, the bold high-contrast illustrations too, but what I really like that this picture book is that it promotes the scientific method, which, in the words of the OED is “a method or procedure that has characterized natural science since the 17th century, consisting in systematic observation, measurement, and experiment, and the formulation, testing, and modification of hypotheses.” Yeah. That. 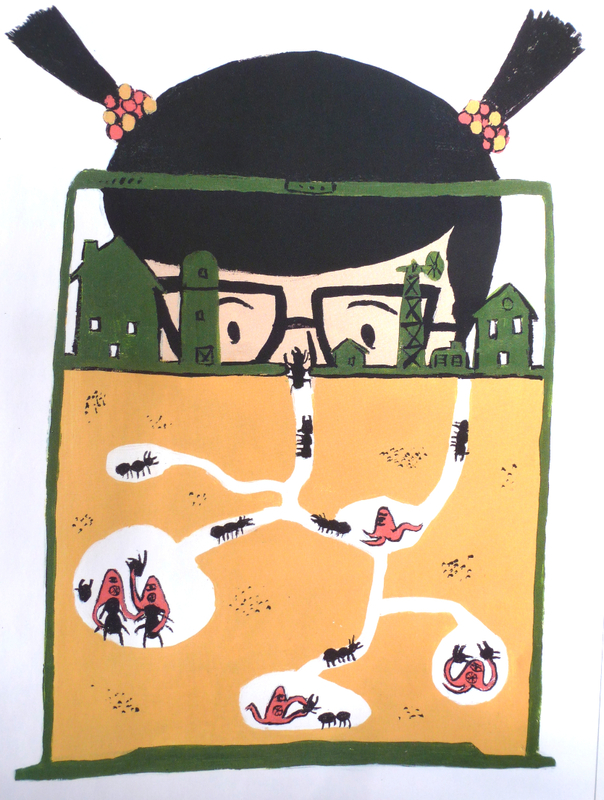 And living close to a university (3 blocks) that has a fantabulous outreach program for science I can’t be happier to find a picture book that may enkindle a wee scientist! Resources/Activities: Did you know babies are born scientists? ReadTHIS from the National Science Foundation; or this article on Science in Early Childhood Classrooms; check out Hannah Weight Holt’s AMAZING crafts for kids at Lightbulb Books blog, like this one on earth’s layers. 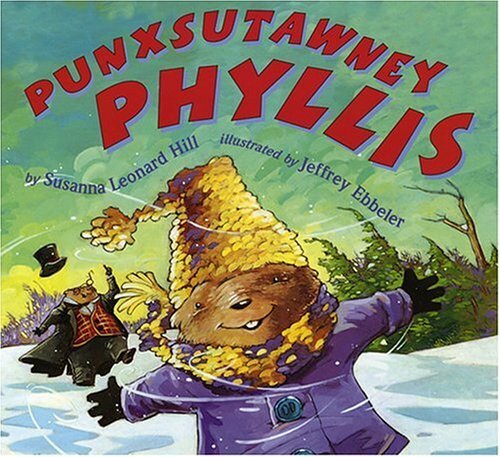 Punxsutawney Phyllis – at it again! while I decide the season’s fate. It’s not the crowd, the peeps are great. a bit of gas from what I ate. Don’t forget to check out the pics from her visit right here in Fort Collins! Opening: This is the tale of a loaf of bread, from the day it was born in a baker’s oven, baking hot on a cold and frosty morn. Why I like this book: As I have enjoyed this duo’s other books, Runaway Dinner and The Pencil, so I jumped right in on this delightful romp around the kitchen. 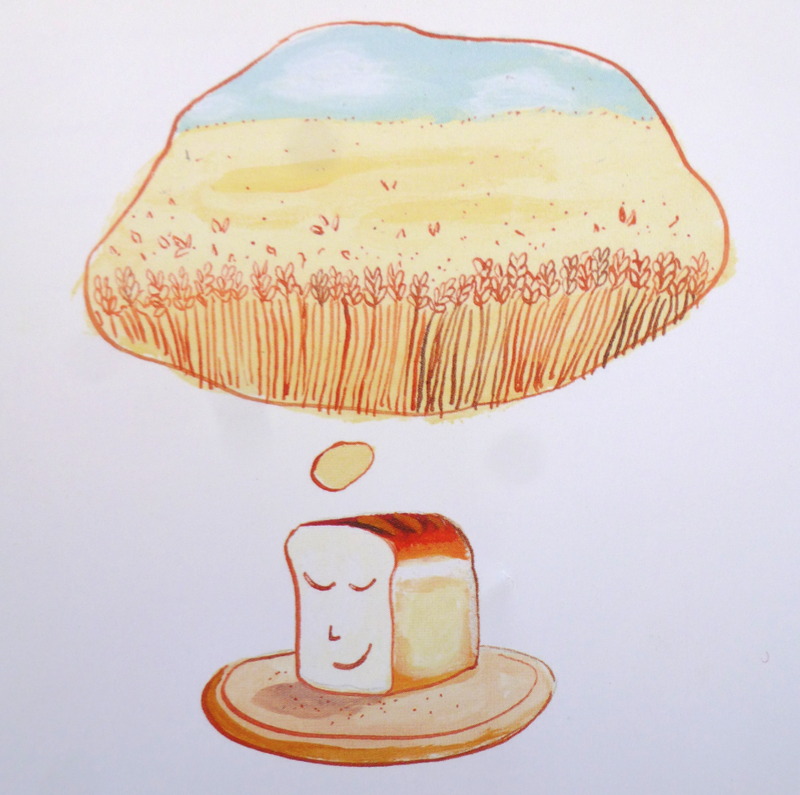 I like the simple, light-hearted illustrations with a warm hue – mmm, like fresh baked! Resources/Activities: Bake some bread of course! 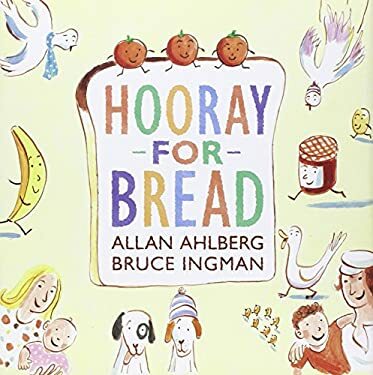 Find an easy recipe HERE; If you can’t bake in a classroom, why not bring in a few loaves to share: have ‘tea, a drink with jam and bread’ (and play DoReMi in the background! Wink at Beth Stilborn! ); talk about what we like to eat on bread, with bread, and why it is an important staple of the American diet. Publisher: Enchanted Lion Books, 2013; Originally published under the title Quelque Chose de Grand by La Joie de Lire in Geneva, Switzerland, 2012. I like this book because: the cover illustration sold me. Yeah, I’m gullible like that. 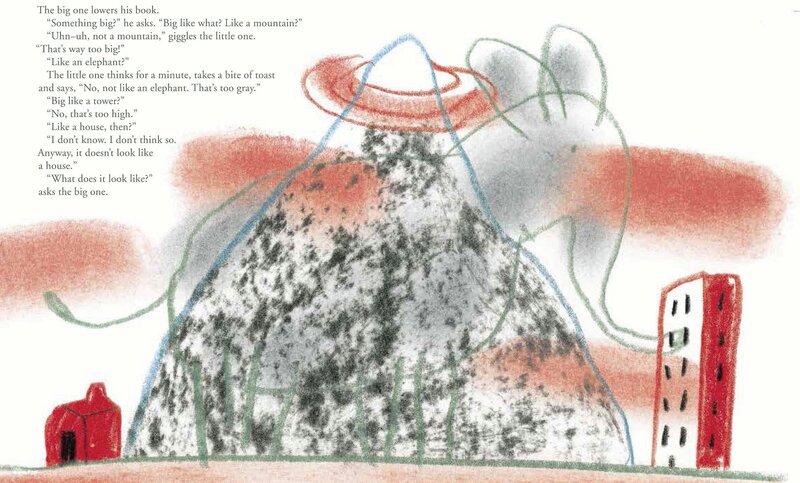 I love the story’s quiet conversation, and how the simple illustrations reflect how a child’s ideas are as easily built as they are changed, but beautiful and worthy at the same time. Brings back memories of winter strolls on the beach too. 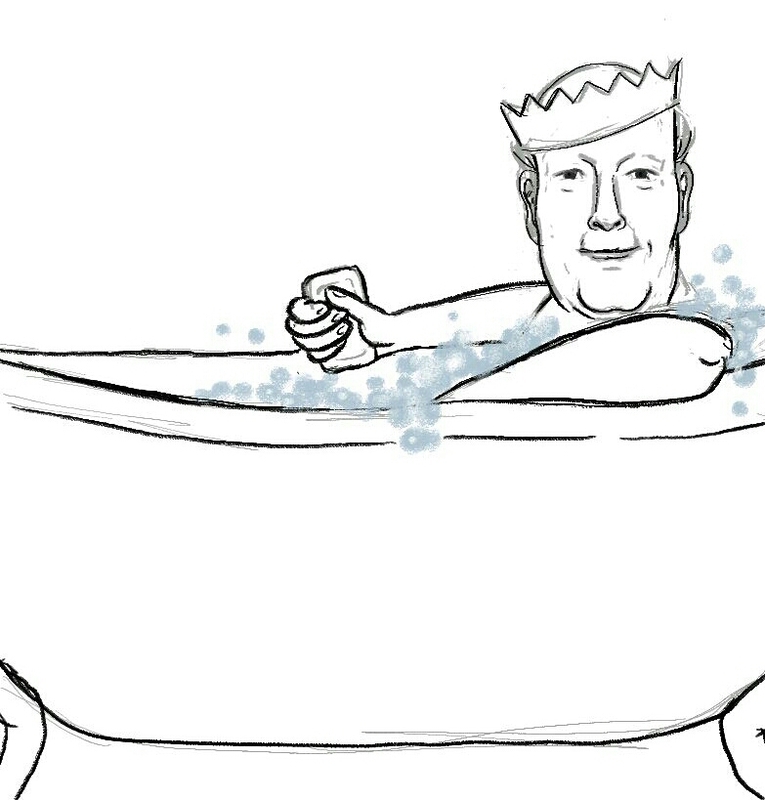 Julian Fellowes, creator and writer of Downton Abbey, King of Soaps! Thank you to all those who have tuned in for the count down, your support has been very much appreciated. I’ve created an extra page to make a scroll down of all the images easy in one go. Cheers! 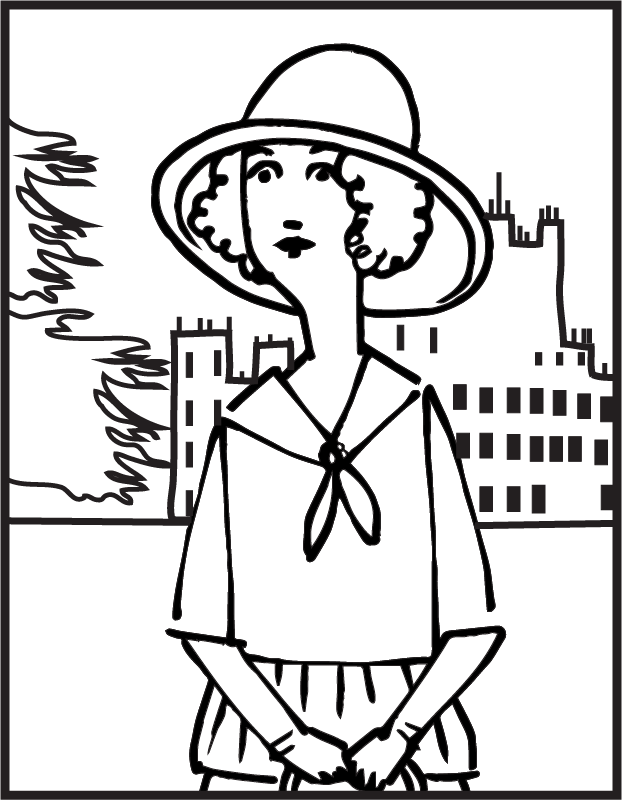 For your coloring pleasure: Rose MacClare (Lily James) looking so very innocent. Opening: January: The days are short,/ The sun a spark/ Hung thin between/ The dark and dark. 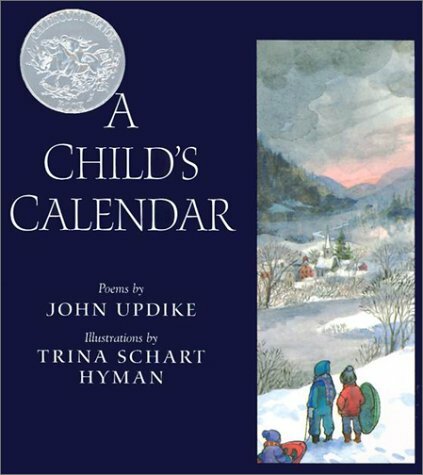 Summary: (Excerpt from my library catalog) A collection of twelve poems describing the activities in a child’s life and the changes in the weather as the year moves from January to December. 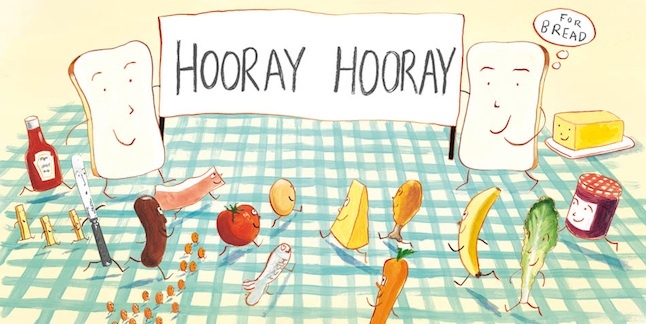 A Caldecott Honor Book. Dr. Clarkson (David Robb), is Scottish, and I can’t think of Scotland without the fond memory of Gavin Maxwell’s book, Ring of Bright Water, which was made into a delightful movie by Bill Travers and Virginia McKenna. The book is marvelous, and I became fan enough to read a few of his other books (anyone local is free to borrow what I’ve got), and it’s a wonder I haven’t planned a trip to his old stomping grounds. You might be interested in someone who did, and their accounts, HERE. 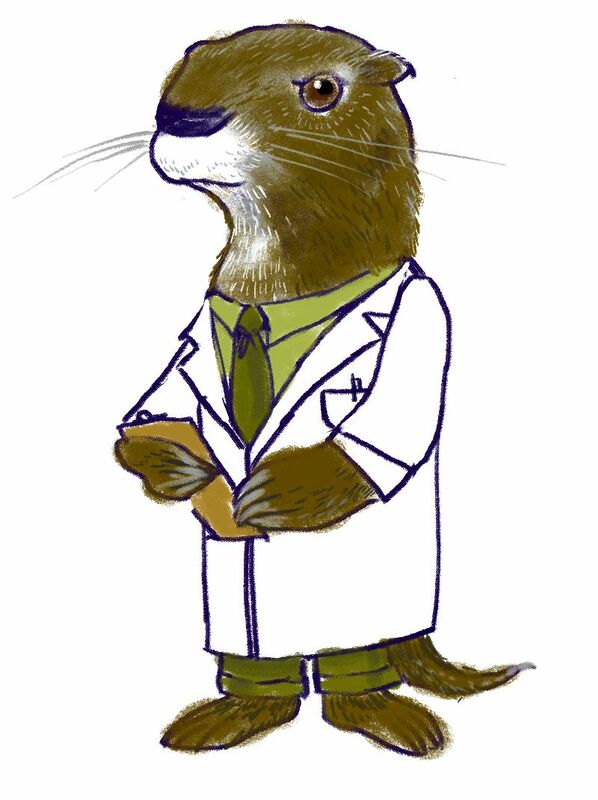 In any case, you’ll understand why I had to draw him as an otter.